There are 36 states and U.S. territories holding gubernatorial elections this year and these races could be the biggest referendum of all on President Donald Trump’s presidency. All eyes will be on key 2020 states to look for predictions regarding the next White House race, particularly what insights can be gained for which ever party takes power. And, even further down the road, the inhabitants of some of those gubernatorial mansions could play a big role during the redistricting process in 2022. Some big races are on the map: Florida, which will be a key state in the 2020 presidential race; Michigan with its love of outsiders in 2016 -- Bernie Sanders won the Democratic primary and Trump won it in the general election; and Colorado, a key barometer of happenings in the West. Here are some of the key gubernatorial races to watch. No state is likely as historically consequential in presidential elections as Florida — e.g., 2000 Bush vs. Gore — and we’ll likely be seeing the Sunshine State’s impact once again come 2018. With Gov. Rick Scott unable to run again due to term limits, Florida voters from both major parties will have completely open primaries. Both parties can raise funds, but this year’s election might come down to who’s vouching for a candidate. 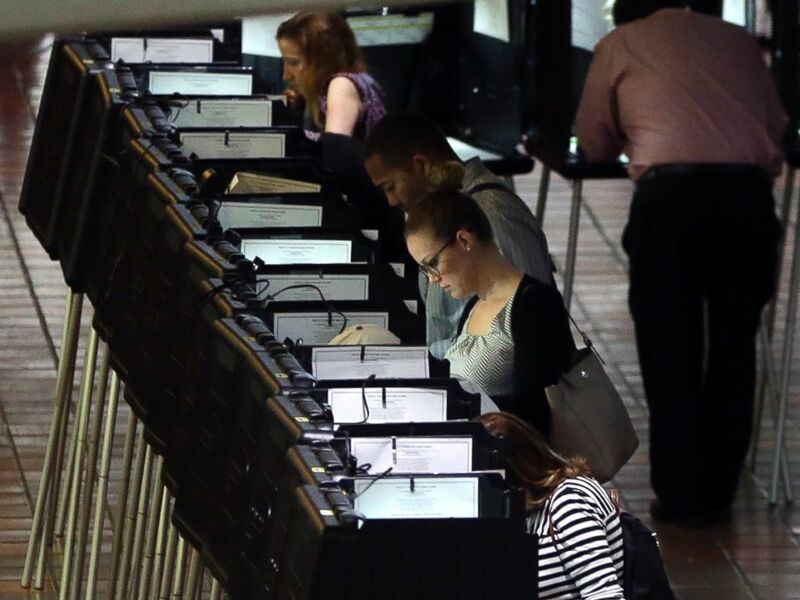 Florida’s Democrats are hoping to use the election as a referendum on Trump and highlight issues that have affected their state like devastating hurricanes and economic development. Electing the first Democrat Floridian governor since 1994 wouldn't hurt the national party either. Among the Democratic candidates are two mayors: Tallahassee Mayor Andrew Gillum and Miami Beach Mayor Philip Levine. Then there’s the current Democratic front-runner, former U.S. Rep. Gwen Graham. She happens to be the daughter of Bob Graham, former Florida governor and senator. However, with a late June filing deadline, the field of candidates could grow. After leapfrogging his opponent and capturing the party's nomination in the Republican runoff, Georgia's secretary of state Brian Kemp will face Democrat Stacey Abrams in a November gubernatorial general election that will test Georgia's political identity. Kemp, who is a white, small business owner, frames himself as the "politically incorrect" candidate who often caps off his eyebrow-raising comments with, "Yep, I just said that." The weight of the White House was behind Kemp, who more than made up the 13 points he trailed Cagle in the first round of voting. 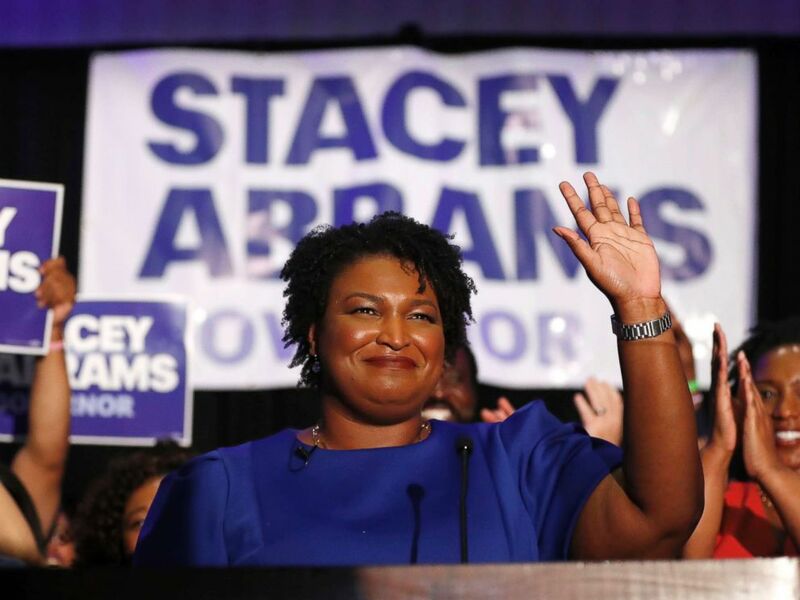 Abrams, an Ivy League-educated progressive black woman, attacked her primary opponents who adjusted their message to appeal to the state's conservative traditions. Democrats hope that the Peach State, where the president defeated Hillary Clinton by 5 percent of the vote in 2016, can be propelled into a swing state by 2020. Republicans hope Abrams, who clings to down-the-line liberal policies, will prove be unable to attract the growing swath of moderates. 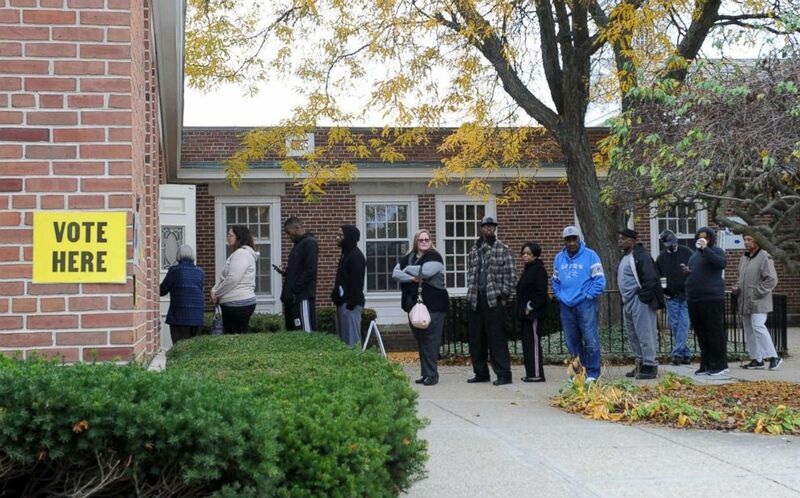 People line up to cast their ballots at a polling station, Nov. 8, 2016 in Flint, Mich. In 2016, Michigan embraced the populist outsiders. Bernie Sanders scored an unlikely upset in the state during the Democratic primaries and Donald Trump flipped the key Rust Belt state red at the presidential level for the first time since 1988. In 2018 those same national dynamics are set to collide with some distinctly local ones. Republicans have held the governor’s mansion in Michigan for the last eight years, and the party knows that the legacy of two-term incumbent Gov. Rick Snyder is on the line this year. The state’s unemployment rate has steadily declined since it was devastated during the 2008 financial crisis, but episodes like the Flint water crisis have fueled the economic and social anxiety that continues to linger through the first year of the Trump presidency. Jobs, taxes, immigration and infrastructure promise to be front and center in the race to succeed Snyder, and the primaries on both sides of the aisle have already begun to take shape in the race to succeed Snyder. Michigan Attorney General Bill Schuette, already elected statewide twice as the state’s top cop and endorsed by Trump last September, has jumped out to an early lead on the Republican side, but is still facing competition from Lt. Gov. Brian Calley, another winner of two statewide elections under Snyder, and state Sen. Patrick Colbeck. Democrats have begun to coalesce around former Michigan State Senate Minority Leader Gretchen Whitmer, who has nabbed a few key early endorsements and has generated impressive initial fundraising numbers. Whitmer’s main primary challengers, former Detroit health director Dr. Abdul El-Sayed and businessman Shri Thandear, are hoping to capitalize on the state and party’s thirst for a populist outsider, and are attempting to paint her as a party insider that lacks progressive credentials.